Before the curtain falls on the historic 25th anniversary season of the Bojangles' Summer Shootout at Charlotte Motor Speedway, race fans will witness slam-bang school bus racing, spectacular fireworks, power wheels racing and hotly contested Legend Car and Bandolero battles on back-to-back nights of action on Monday and Tuesday. The final race week of the season kicks off with Monday's penultimate round, which includes the Little Luggies 600 power wheels race presented by Farm Bureau. Monday also gives drivers one last shot to register a win before the green flag drops on Tuesday. Champions' Night presented by Cook Out features championship celebrations in six divisions: Cabarrus Brewing Company Masters, Legend Car Pro, K1 Speed Young Lions, VP Racing Fuels Semi-Pro, Charter Schools USA Bandolero Outlaws and Bandolero Bandits. Area clergy will lock horns in a school bus slobberknocker like no other during the annual Faster Pastor race presented by Farm Bureau, on Tuesday. 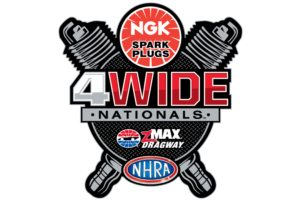 The final night of racing will also include a free autograph session with drivers on the track and a fireworks spectacular presented by NGK Spark Plugs. Gates open at 5 p.m. each night, followed by heat races at 5:30 p.m. Opening ceremonies are scheduled for 6:45 p.m. followed by feature races. The autograph session, followed by fireworks, will start at approximately 9:15 p.m.